In the newest installment in the Battlefield series, DICE and EA have broken a long standing tradition in the Military FPS genre of the “one man army.” The campaign of Battlefield 1 brilliantly conveys a sense of the brutal nature of the “War to End All Wars,” seldom are there moments in the campaign where you get to feel like an unstoppable killing machine, and it’s a refreshing change of pace from the standard fare. With Battlefield 1, DICE has done the utmost to create an experience fitting with the source material. As you move through the campaign’s five War Stories you get to see World War I from different perspectives. This isn’t a game about one soldier’s quest to defeat evil. Instead we are given a more nuanced story, one told from various perspectives from different stages of the war. 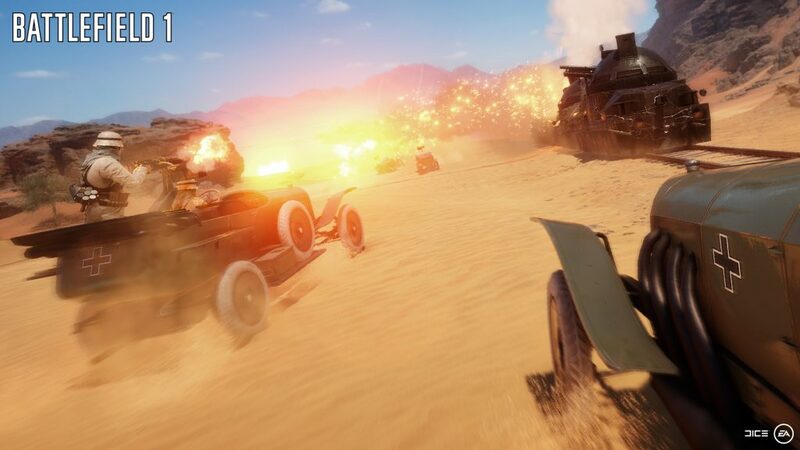 One minute you’re treading along the Western Front in a British Mark V tank, the next you’re sneaking through the desert sands in the middle east as you take on the sprawling Ottoman Empire. The narratives of Battlefield 1 provide a range of depth sadly lacking from its contemporaries, and it’s truly a breath of fresh air. Each War Story brings something unique to the table, and clearly DICE has put a lot of time into making sure the experience never becomes too monotonous. The locations of the War Stories are unique and diverse from one another and the gameplay mechanics change along with them. The campaign also does a great job of balancing how powerful you get to be in relation to your enemies. One moment you’re blasting through enemies in a tank without a care in the world, the next you’re frantically crawling from shadow to shadow looking for fuses for the broken down death-machine. The only thing that starts to feel a little repetitive in the campaign is the frequent usage of stealth mechanics. Most of the War Stories have segments that require you to sneak around your enemies in a similar fashion. That being said, the game does allow for a lot of variety in how you decide to go about your dirty work. Loud and explosive or silent and surgical, it’s really up to how you want to play the game. Visually the game is completely stunning. Battlefield 1 has some of the best animated explosions and fires I’ve ever seen in a game. When flametroopers attempt to pin you down, blasting you with their flamethrowers, the fire is disorienting and even blinding. Explosions are dynamic to the environment and never feel copy-pasted into place. Even the muzzle flare from gunfire feels more realistic than ever. The game is chock-full of small visual elements that add to the realism, for example, moving from outside to darker, indoor spaces requires your character’s “eyes” to adjust to the brightness. Buildings are broken apart and destroyed under the barrage of mortars and field guns in a believable way that feels unique every time it happens. All this coupled with a myriad of fine-touches comes together to make the warzones feel not just chaotic and intense, but alive. The surrounding landscapes are breathtaking and serve as a jarring counterpoint to the gruesome reality of war. One sequence in the game finds you trudging through the mud of No Man’s Land, the corpses of foe and friend alike cover the ground all around you and the sound of artillery barrages never leaves your ears. The sound design in this game is on par with its imagery and the two come together to create one of the most visceral and cinematic experiences you can have in a video game. The only real drawback to the campaign is how short it is. All five war stories can be completed in about 6 hours. The War Stories are an interesting departure from the more linear story telling we have grown accustomed to, and it’s a welcomed change. But after finishing the campaign I was left without a sense of closure, there’s really no final act to tie the entire narrative together. The multiplayer also contributes to the game’s story in minor fashion with the Operations mode, so I’ll give it credit for that. Other than this, I have very few gripes with the campaign. There were some minor graphics glitches and bugs, one of which halted the progress of the game in the very first level, leaving me stuck until I restarted the mission, but I imagine these sort of bugs will get ironed out in future updates. There are nine multiplayer maps supporting up to 64-player lobbies. The action is usually constant and intense, capturing all the madness of a battlefield in a riveting way. You are almost always caught in the middle of frantic firefight with guns blazing all around, artillery shells exploding feet away and armored vehicles and planes are always close by. At its best, the multiplayer is completely bonkers in the most enjoyable way. 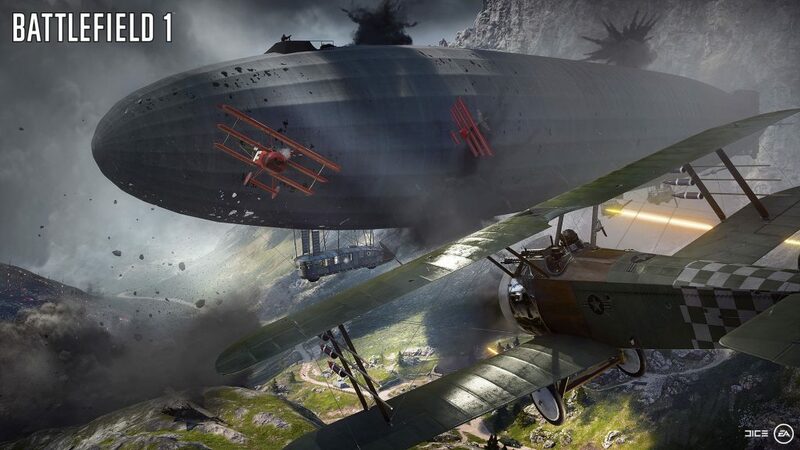 There are some exceptions, a couple maps are just a bit too spread out, as we have seen in earlier Battlefield titles, which makes them too skewed in the favor of vehicles and sniper classes. The game does encourage you to make strategic use of the four separate classes: Assault, Medic, Support and Scout. Each class has its advantages, from anti-vehicle weaponry, close to medium range guns and snipers, to life-saving support from the medic. Employed well, the classes make the multiplayer gripping and engaging. What stands out to me the most with the multiplayer is that it feels like its own game, probably one of the hardest traits to find in a military FPS, a genre where we are served the same meal over and over again with a new name slapped on the front. Battlefield 1 truly benefits from its source material when it comes to gun selection. There are six categories of guns: Shotguns, SMGs, LMGs, Semi-Autos, Sidearms, and Sniper Rifles all tailored to fit in with the game’s time period. The guns in Battlefield 1 make for a much more gratifying multiplayer experience because they have more of a learning curve to them. There are no thermo-optic-magic-powered-super-guns to be found. Instead, you wield guns that require you to account for drag and bullet drop over long distances, which make those mile-away headshots all the more sweet. 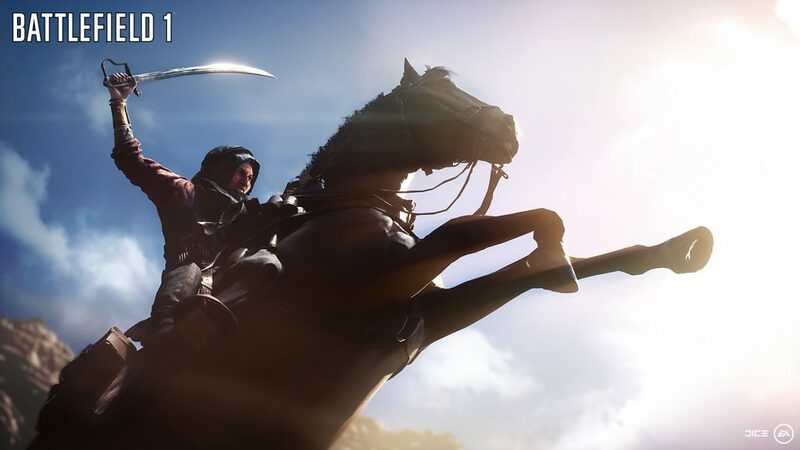 Battlefield 1 is the most fun I’ve had playing a Battlefield game in years, and has managed to do something new and inventive with an old subject matter. 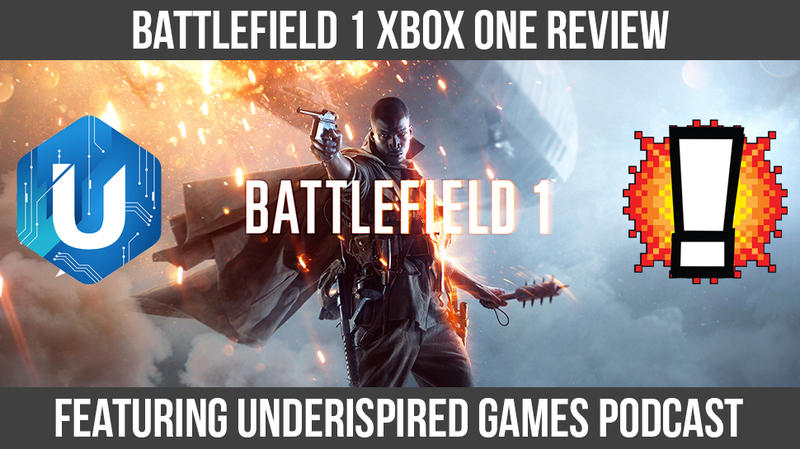 Battlefield 1 stands out as easily one of the best shooters of the year and has gracefully set the bar higher for future forays into the genre.